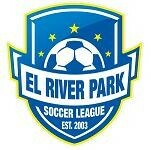 Updated Friday May 13, 2016 by El River Park Soccer League. El River Park Soccer League, is inviting all high schools in the Houston area to participate in the first all high school summer soccer league for boys and girls. The High School Summer Soccer league (HSSSL) games will be play at El River Park Soccer League Soccer fields 14211 Reeveton rd Houston tx, 77039. Games will be play starting 1 pm and up depending on the number of teams that sign up.